What sets apart Chem-Dry from traditional steam cleaning? From start to finish, Chem-Dry likes to focus on giving you the cleanest and healthiest clean possible. Our green-certified solution and innovative equipment will meet every need of your home. Everything we do is specifically designed to guarantee that your carpets get the deepest cleaning possible. Our mission is to provide a safe and healthy environment for your home. Here’s the Breakdown. The cleaning process starts with the equipment you use. Traditional steam cleaning puts an insane amount of soapy water and chemicals into your carpets at high pressures. This can be tough on your carpet and even drives some of the dirt deeper into your carpet! 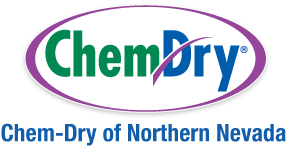 Chem-Dry’s HCE process uses significantly less water, about 80% less to be precise. It’s also low pressure so it is gentle on your carpet. At the same time, HCE pulls moisture and soil out of your carpets base. This method is CRI (Carpet and Rug Institute) approved at the platinum level. Solutions and products you use when cleaning carpets have a long-lasting and powerful impact. The majority of steam cleaners use detergents which leave a soapy, dirt-attracting residue that makes your carpet become dirty shortly after cleaning it. These harsh chemicals can also result in additional wear on your carpets that make them appear dull and worn. Additionally, these solutions can be harmful to your children and pets. Chem-Dry’s proprietary cleaner, The Natural®, is created using natural ingredients that are free from soaps or detergents. Consequently, your carpets will stay cleaner for a longer period of time. The Natural® is 100% natural and green which means it won’t damage carpets. It’s also non-toxic! No need to worry about your children or pets. Because typical steam cleaners push so much water into your carpets, they can take several days to dry. Water can soak through to the backing of the carpet which promotes mold and mildew growth. Chem-Dry’s Proprietary HCE process uses just one-fifth of the water that traditional steam cleaners use. This allows your carpet to dry in just a few hours!